The Briggs & Stratton Etek is the electric motor equivalent of a legendary Pokemon. It is renowned amongst electric vehicle and robot fighting enthusiasts for having high torque capability for its weight. 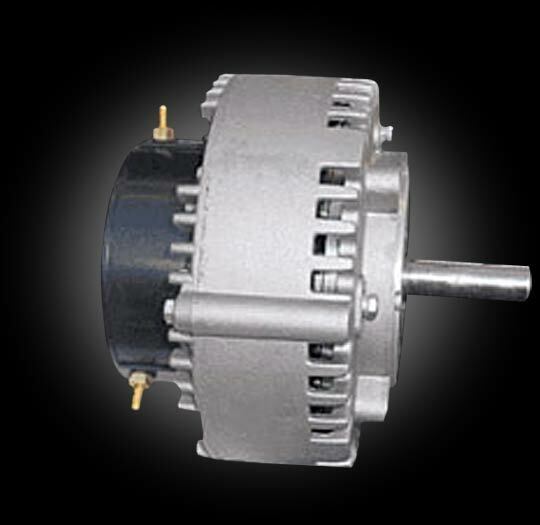 Read more about this breed of motor here. I was lucky to get my paws on a real Etek while in California. It was seized – the shaft would not turn. I took it apart using the boom extension hydraulic cylinder on a big forklift and shimmed the outer casing with soda can shims. …where it worked great for a while, then got exceedingly grindy and difficult to turn. The commutator-side of the rotor was touching the stator, so I inserted some shims punched with a sharpened piece of tubing. Furthermore, the act of reinstalling the (iron and copper) rotor into the magnetized motor housing was enough to deform the rotor until it touched the magnets. A bad case of a flaccid rotor. profit. The Etek rotor is happily stiffened and no longer suffers from the grindies.